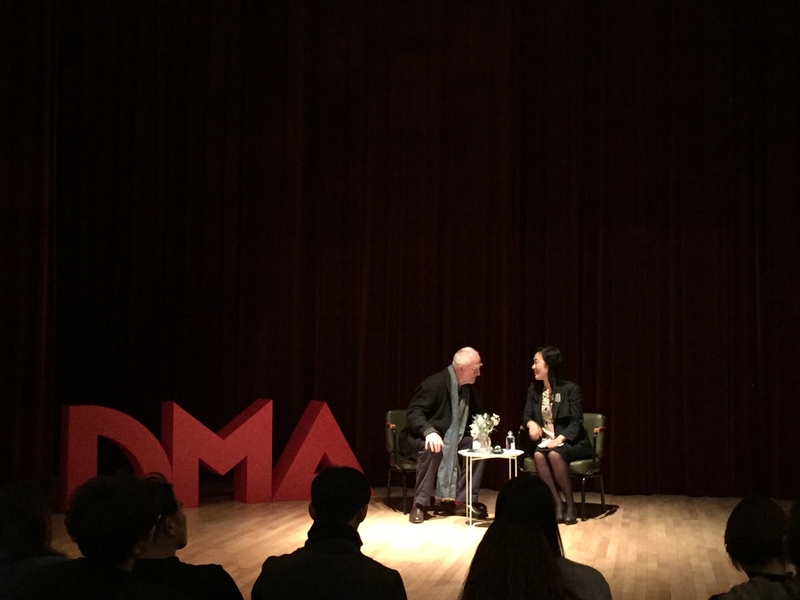 Peter Zumthor visited the Daejeon Museum of Art on 9 March for a talk ‘Atmosphere: A Conversation with Peter Zumthor’ with Sun Seunghye (Director, Daejeon Museum of Art). It was the first time that Zumthor appeared officially to the Korean public. The meeting was organised through pre-applications from the first 100 applicants. The museum's website was down when the application opened, drawing keen attention and high expectations even before the event began. On the day of the event, more than 300 artists, architects, students and citizens gathered. The event took the form of a natural conversation without a separate scenario. ‘It's all about my architecture’, Zumthor stressed the word ‘atmosphere’, which implies his work in architecture. He said, ‘I think the architecture's form, its function, its people and even its sounds are an atmosphere. It's all in the atmosphere, from building materials to the harmony of various materials, to natural light coming into the surface of the building and reflecting to forming shadows’. He gave a sentimental answer when considering another concept of ‘placeness’ that cannot be omitted from his architecture. ‘Every place has its history and traces, and I'm often inspired by something minimal. I put the way I feel and talk about history in my architectural work’, he noted. He also mentioned that the subjective 'emotion' that each person experiences is important. ‘When a boy listens to a song at home, he recalls a pleasant feeling’, he said. ‘Just as he walks down the street and recalls a Saturday morning when he sees fresh items on display in the store and smiles with people he encounters, the building should also remind people of certain memories and emotions’, he added. Asked by Sun Seunghye how he leads the abstract concept of atmosphere and emotion to the concrete and practical work of architecture, Zumthor answered, ‘I often conjure up some images’. He explained that image is a lively scene, not an abstract idea, and he conjures up the image and links it to his work. Also, Zumthor cheered the young architects who visited for the talk: ‘There are many ways to be a good architect. You can build a building that your mother will like, you can be a good architect, you can accumulate much knowledge to become an educator, or you can be a person with your own artistic characteristics. So ask yourself what kind of architect you want to be, and make up your mind’.